Lester, a patient that attends a recovery group at our Walton Family Health Center in the Bronx, generously shared his recovery story with us last year. Read some of it on our Facebook page. Historically, mental health services have not been valued in the same way that medical and surgical services are. The Affordable Care Act (ACA) changed that. 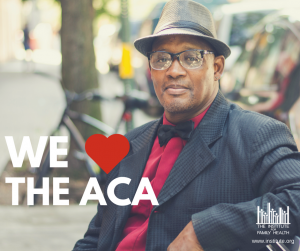 The ACA asserted the importance of mental health by expanding access to mental health and substance use disorder benefits to 62 million Americans. And the law added mental health services to the list of Ten Essential health Benefits. This means that all new Medicaid and Marketplace plans are required to cover services like counseling. This was not the case before. The new administration’s proposed bill to repeal the ACA would remove the essential benefits requirement leaving the poor and most vulnerable at risk for losing access to mental health services altogether.